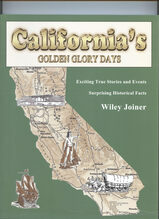 Wiley Joiner is a former military man. 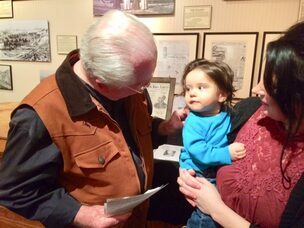 After a ten-year naval career, he relocated from Miami, Florida to California in 1962, and became hooked on California history. In 1964, he reenlisted in the Army and found himself recruited into the Green Beret Special Forces, serving in a number of overseas locations. Mr. Jernigan and Mr. Joiner have been friends since little tykes in the first grade and the collaboration on Black Bart, The Search is Over was a natural thing, though Mr. Jernigan was the initial researcher. Wiley joined forces with his friend Bob in the year 2000, and they have enjoyed the comradery they shared for the completion of it. Wiley has since released Black Bart's Resting Place. In this book he explains in more detail the sources for the conclusions in the first book. 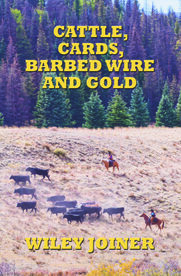 Wiley has authored three other books, Oakdale, California , California’s Golden Glory Days and Cattle, Cards, Barbed Wire & Gold, published by Shalako Press. 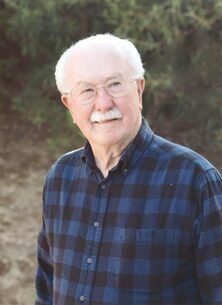 Wiley resides in Oakdale, California with his wife Glory Ann. They have two sons, Mark and Jeffery, five grandchildren and six great grandchildren.